Having defeated the victorious finalists of the previous World Cup in a 3-match ODI series in Australia earlier this month, the Indian cricket juggernaut now sets its sights on the Black Caps. They will contest a 5-match series beginning tomorrow at 3pm in Napier, which will tell us a lot about how the respective teams match up before the World Cup in England this winter. The market is expecting a close encounter, with the Black Caps currently paying $2.34 on BetFair to India’s $1.72. India and New Zealand are ranked 2nd and 3rd in the world respectively in ODIs right now, so the series promises to be a heavyweight clash. Both sides will be looking to fine-tune their XIs before the World Cup. For the Black Caps, there are three major questions to be settled. The first relates to the form of Colin Munro at the top of the order. The Black Caps have persisted with Munro at the top in the hope that he could replicate his T20 form there. In that format he is one of the world’s best openers, but in ODIs he only averages 26, and 23 from his last 30 matches. In T20Is he averages 33 at a strike rate of 161, and the plan is for him to do what Brendon McCullum did in 2015. If Munro stays, the Black Caps have a settled top order of Munro, Martin Guptill, Kane Williamson and Ross Taylor. This will be a good enough top order to mount a serious challenge at the World Cup. If Munro is not selected, they might bring in another hitter such as Glenn Phillips, or (more likely) move Latham up from 5, which would bring with it its own questions. The second question relates to the middle order, in particular positions 5, 6 and 7. To some extent, the answer to this question depends on the first. If it is decreed that Munro is good enough as Guptill’s opening partner, then Tom Latham bats 5 and keeps wicket. The question then becomes whether the Black Caps choose a hitter like Henry Nicholls at 6, or an all-rounder like Jimmy Neesham. Nicholls’s blazing 124* off 80 in the Black Caps’ last outing against Sri Lanka may have secured him this spot, because such innings will be necessary in England. If they choose Nicholls at 6, then it becomes necessary to play an all-rounder at 7. This will be either Neesham or, more likely, Colin de Grandhomme. If Munro is not favoured at the top of the innings, then Latham will move up to opener, with Nicholls moving up to 5 and then probably Neesham and de Grandhomme at 6 and 7, which would give captain Williamson a range of bowling options. The third question relates to Trent Boult’s new ball partner. That Boult is the premier bowler in the country is not contested: he has taken 89 wickets at an average of 26 since the 2015 Cricket World Cup. He will lead the attack in England and the only question is who will partner him. Until recently, Tim Southee had a lock on the position. This was a combination of incumbency and reward for his outstanding performances in the 2015 tournament. But he has averaged 44 with the ball since then, having only taken 48 wickets in 43 matches. He seems to have fallen out of favour with the selectors as well, having seemingly been dropped for recent matches against Pakistan and Sri Lanka. The position of Boult’s partner now appears to be a two-horse race between Matt Henry and Lockie Ferguson. Until recently, Henry would have had a solid grasp on the position. He has 71 ODI wickets at just under 27, and was once ranked as high as the 7th best ODI bowler in the world. He only played 6 ODIs in 2017 and 2018 combined, however, and some feel that Lockie Ferguson has already surpassed him. 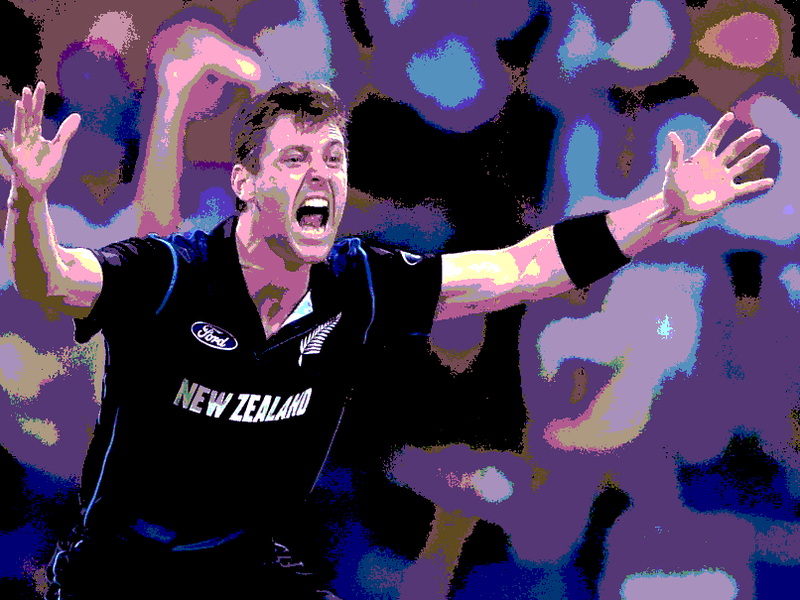 Ferguson continues to impress as well – he only has 45 ODI wickets but has taken them at an average of 24. Either he or Henry would be hot for the position of Boult’s partner, with Tim Southee’s variations possibly enough to see him take the third seamer’s spot. It might be that Henry is the better new ball choice and Ferguson the better choice in the death overs, so they might both be selected. Dan McGlashan is the man with his finger on the pulse of New Zealand culture. His book, Understanding New Zealand, is the comprehensive guide to the demographics and voting patterns of the New Zealand people. It is available on TradeMe (for Kiwis) and on Amazon (for international readers).